Everyone in business understands the importance of the bottom line. At New Life Family Outreach, our bottom line depends on YOU. Partner with us by donating your time, services, or resources to meet a need. Your business contribution will help us to inspire a culture for life and impact futures for Christ in our shared community. Advertise your business by financially sponsoring one of our upcoming events. Your advertisement shows your corporate commitment to giving back to our community, while helping New Life Family Outreach to inspire lives. Sponsorship includes various levels of advertising or entry to the event and other perks. Fall Gala: Our fall fundraising banquet is our largest event as we come together to celebrate the victories of the past year while vision casting for the upcoming year. As a Gala Underwriter, you help to cover the costs of the event so that 100% of funds raised that evening go directly to our mission of reaching women and saving lives. Our Gala is a semi-formal dinner program event featuring a keynote speaker, client testimonies as well as ministry update and vision from the heart of our Executive Director. Run/Walk For Life: Our Run/Walk for Life event is held in the spring. This event is the 2nd of our two major fundraisers and is held on a Saturday morning in May. Sponsorship helps cover the costs of the event to ensure the funds raised go to creating a culture for life in our community as together we reach women at risk for abortion and help them choose life for their babies and for themselves. 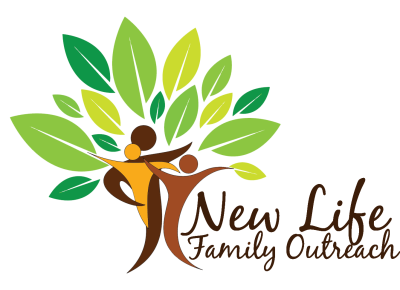 You can help free up the budget at New Life Family Outreach by donating in-kind services. Every contribution your business makes allows us to redirect funds toward other expenses, such as client resources. From general maintenance to computer fixes, there’s a need for every service. Contact us to contribute your business’s professional services and be a part of inspiring lives in our community. New Life Family Outreach depends solely on generous community financial support. Give a donation or plan a fundraiser to contribute financially to this vital ministry. Your business’s tax-deductible gift will contribute toward inspiring lives in our community. Does Your Employer Match Gifts? Double the impact of your generous financial gift. Find out if your company matches charitable donations to non-profit organizations. Some companies match up to $2,500 per employee per year. Direct those funds to our organization to ensure that more babies, women, couples and families will be saved from the destruction of abortion in our community.